Hello! 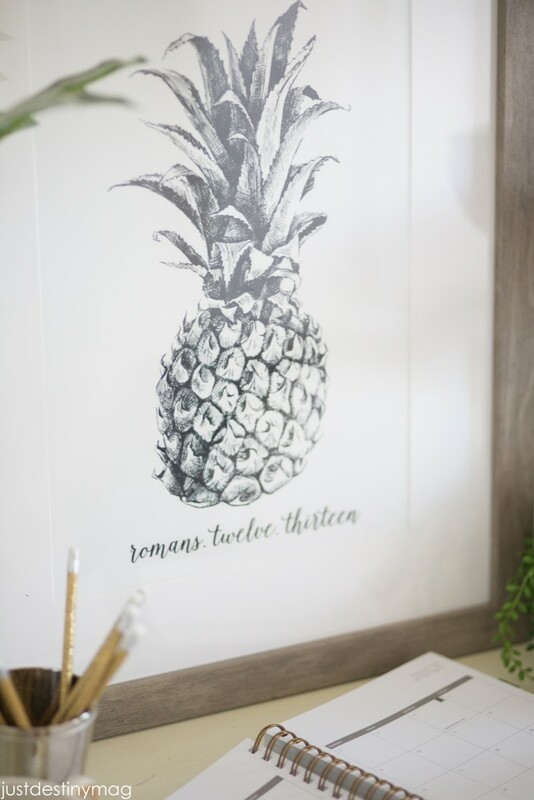 I’m back today with a free summer printable for your home! Summer keeps things pretty slow around the blog and busy at home. The kids and I are really enjoying just doing nothing, but at the same time staying busy enough to make our time off fun. We’ve been at summer camps the last few weeks and a few weeks from now we will be in Puerto Rico! As you saw in the last post I’ve been working on getting my guest room decluttered and started off with a nice coat of paint in white to make things fresh. 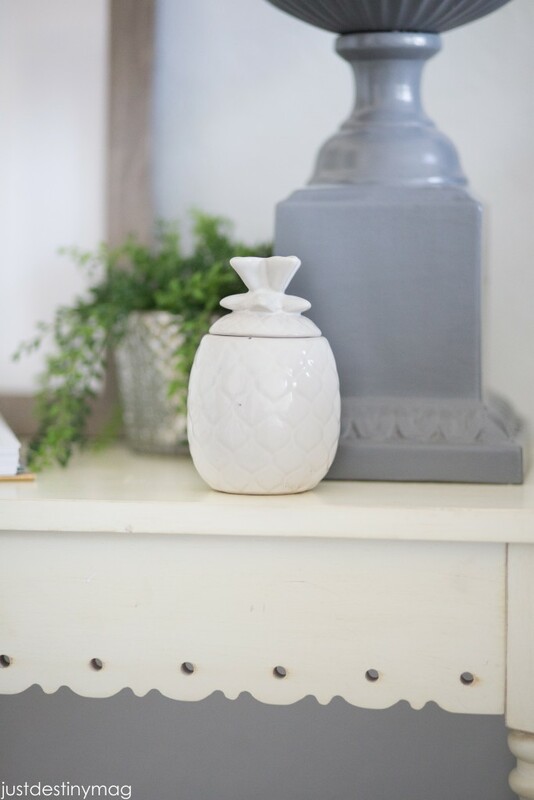 My home blogging friends and I get together a few times are year to offer you all some free printables for your home. Last time we got together we gave you some Christmas ideas! Remember my banners! I love those. So this summer we decided to do the same. Look for us again in the fall and of course during the winter! It’s a simple reminder to Christians to take care of each other. We are called to practice this act. Not just once or twice a year or just for parties. Paul is reminding us to always be ready to share our resources. Yes, that might be welcoming guests to stay with us. But really it means so much more than that. Hospitality really means to share life with those who are seeking Christ!! A meal, a warm bed, clothing, maybe a job? Practice being welcoming to those who are new to the church, new to a group of friends, new to the gym, new to work. Be loving and kind and you will find yourself practicing hospitality. Check out the rest of the printable collection from these wonderful ladies!! 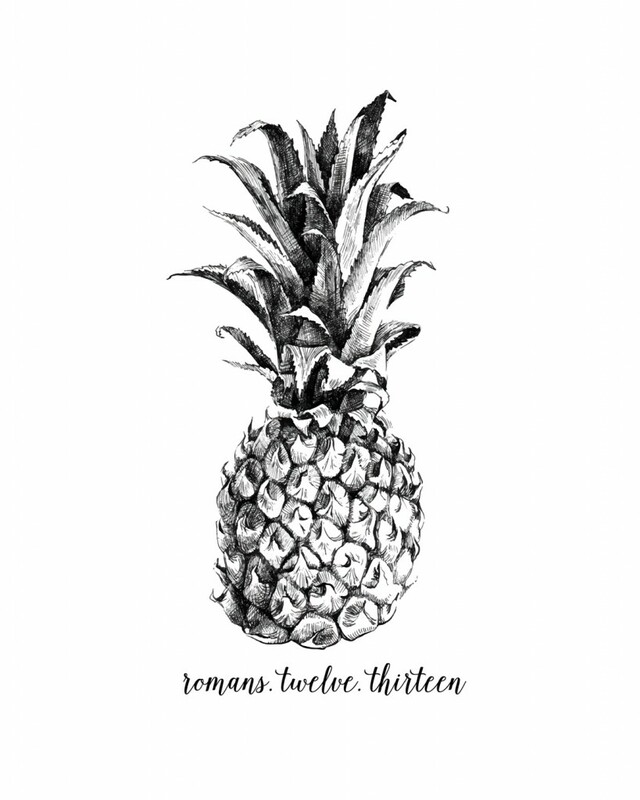 Wow I had no idea pineapples were a symbol for hospitality! Love that verse that goes with it! 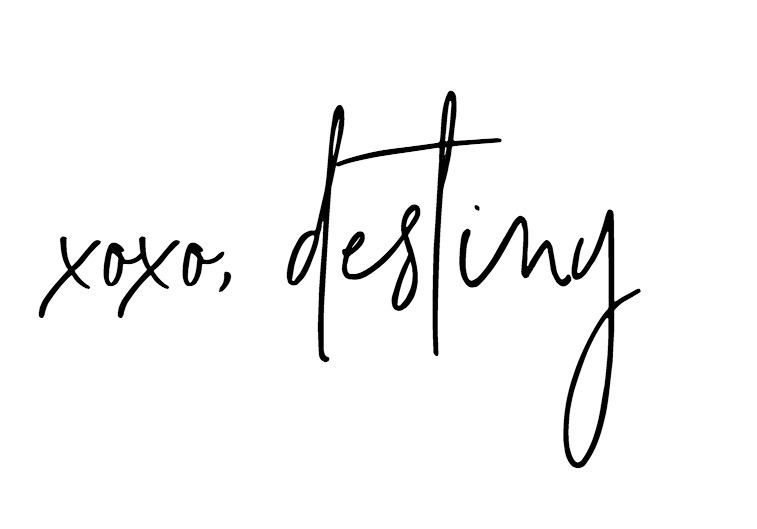 Such a pretty printable Destiny! 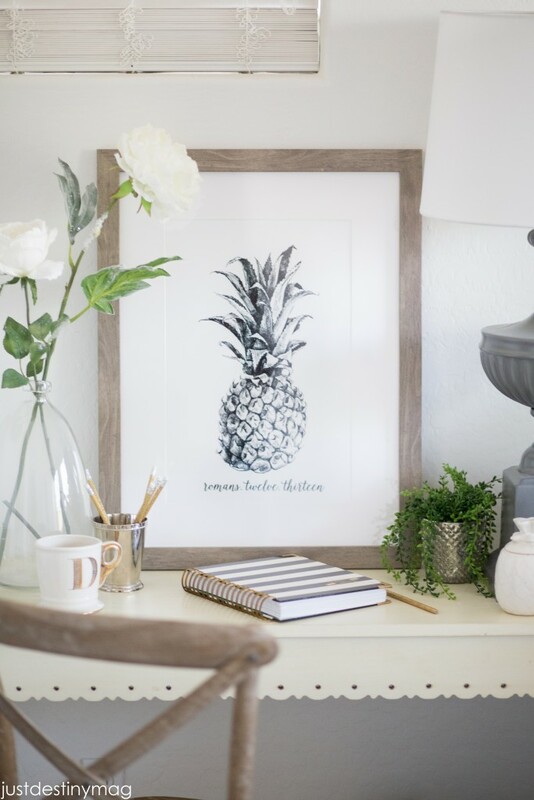 And I loved how you staged it… that frame is gorg! Love all of your stuff, thank you Destiny! Love your style Destiny, thank you for sharing! I too live in Arizona, hot, hot, hot! I love this print so much Destiny, and I love the meaning behind it so much too! You are so talented! 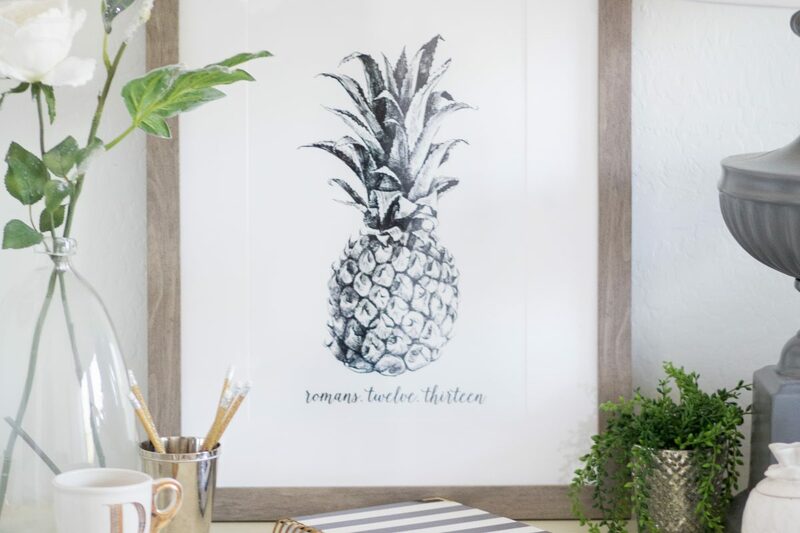 I adore your pineapple but can’t seem to find a link to download it. I do believe this is the best pineapple I’ve ever seen. Love the black and white. Please advise. Me Again!! I see in the comments that someone else has the same problem I did, not being able to download it. I hope the link will be fixed soon. Love your work and your blog. Hi, I’m a little late to the game but would love to download some of your prints if they are still available! I tried the pineapple picture but nothing happened. It wouldn’t even let me save the picture. I tried the other links you provided to other people having the same problem and they didn’t work either. Anyway I could get a copy? !